Gina + Scott were married on a perfect July day at the gorgeous Camrose Hill Flower Farm in Stillwater, MN. The lush greenery and floral was in full bloom, creating an atmosphere that was nothing short of magical! 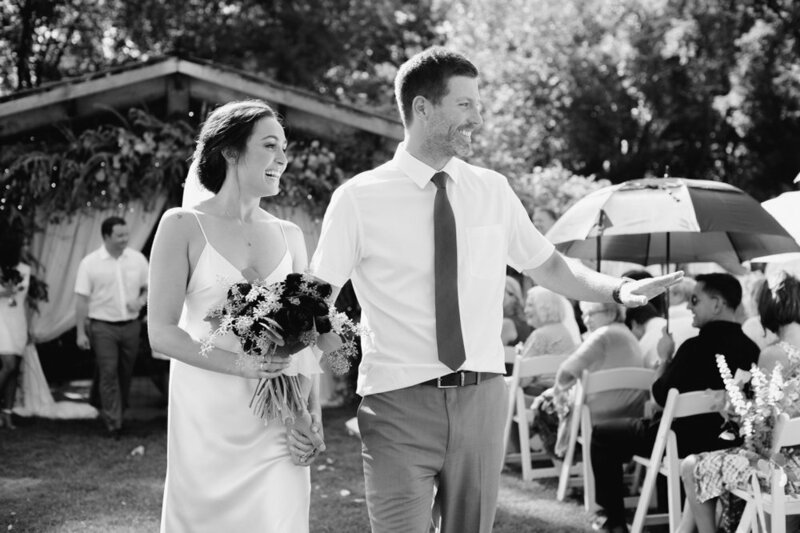 As we all know, Minnesota summers can be very hot and muggy, but that didn't stop this couple from having a STUNNING outdoor ceremony, complete with white umbrellas for guests and an enormous eucalyptus garland as the ceremony backdrop. 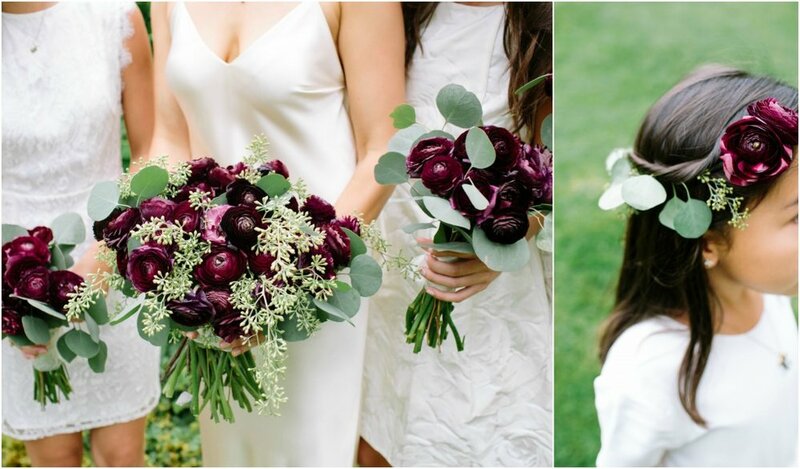 One thing Gina wanted most for her wedding was lots and lots of greenery - and it was everywhere, loves! 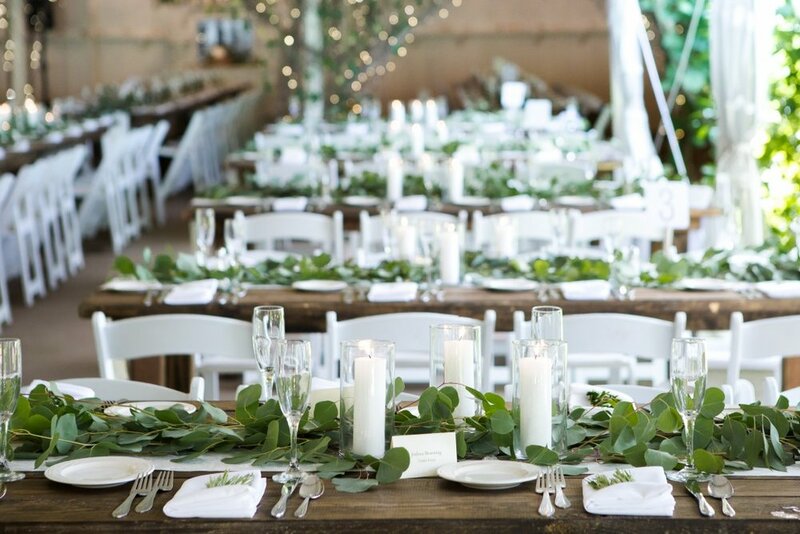 We had greenery draped all over the place, hanging above the head table, as runners along the farm tables, adorning the Bride & Groom's chairs at the head table, surrounding the wedding cake from Wuollet Bakery...seriously, it looked like a fairy tale! We added plenty of white pillar candles and crystals to complete the whimsical tone of the evening. 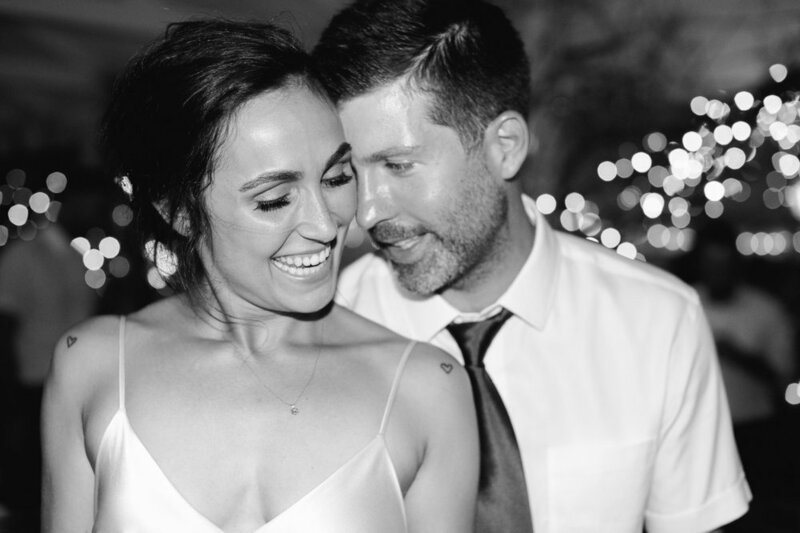 Gina + Scott, we are honored to have been a part of your enchanting wedding day, and we hope you are enjoying your lives together as husband and wife and continued success in your lovely storefront Velvet Moon and Dog Threads!! 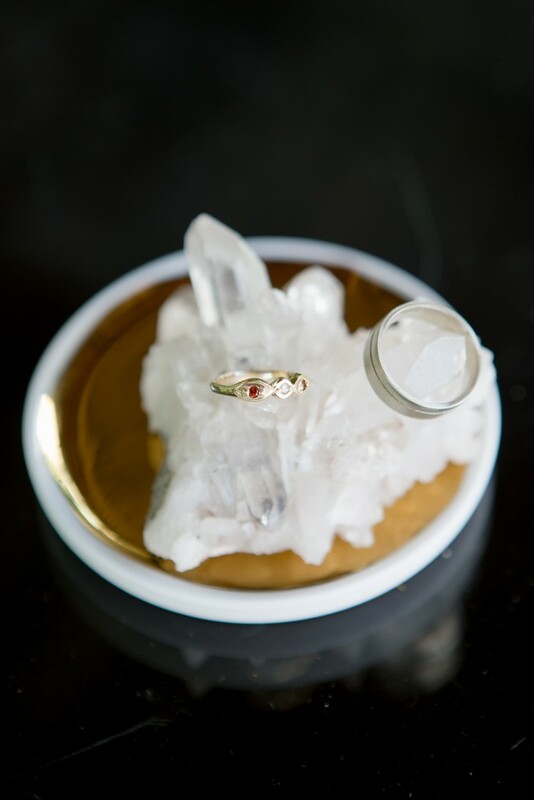 From Gina (the beautiful bride): "If you want to take the pressure off of wondering if everything will go as planned and just enjoy your day, I would strongly suggest hiring Rosetree to plan your wedding. The money we spent on our venue and wedding planner was the best money we spent - well worth every penny. 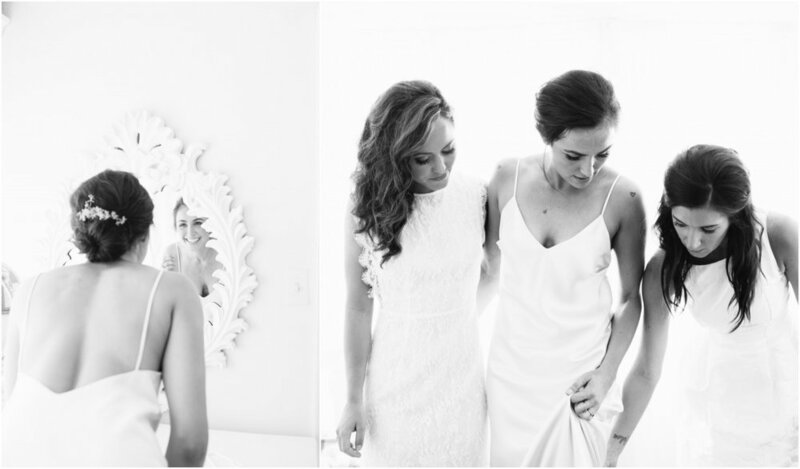 I love the photos as well and think everyone did a wonderful job making the day as magical as it was. It couldn't have been more perfect for us." 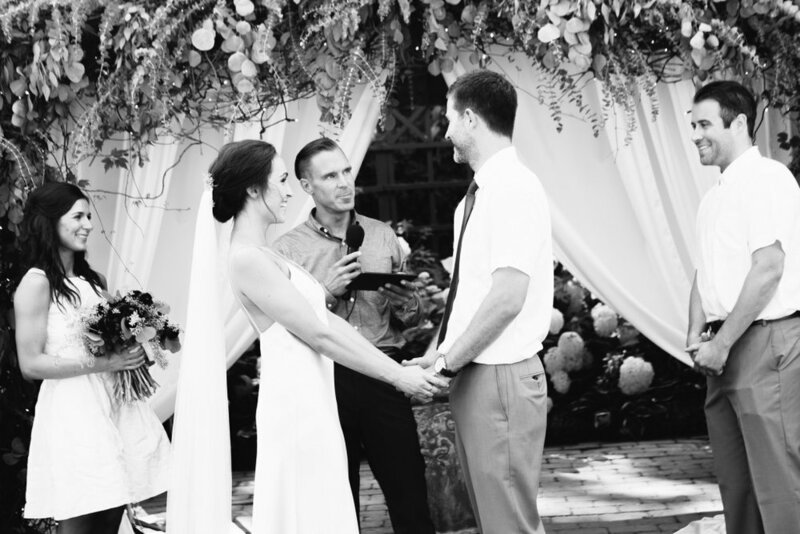 What did you think of Gina + Scott's magical garden wedding? Share your thoughts with us in a comment below!